With SOLIDWORKS certification you can advance your career and prove that you are proficient with SOLIDWORKS software. Standing out amongst SOLIDWORKS users from around the world can be challenging. Earning a SOLIDWORKS Certification can help you get a job, keep a job, or possibly move up in your current job. Be a part of the growing community of certified SOLIDWORKS users. Javelin can provide the training that you need to gain the skills for certification. Plus we can also help you to prepare for an exam with online resources through the My.SolidWorks portal. With SOLIDWORKS Certification you can help advance the careers of your employees and also help to gain new business. Certifying your SOLIDWORKS Users can be a valuable tool in increasing productivity, retaining key talent, and helping improve the quality of your company’s designs. Gaining SOLIDWORKS Certification will help employees to develop their skills and advance their careers. Allowing you to provide a clear career path for your SOLIDWORKS users. Javelin can provide the training that employees need to gain the skills for certification. Plus we can also help employees prepare for the exam with training and resources. 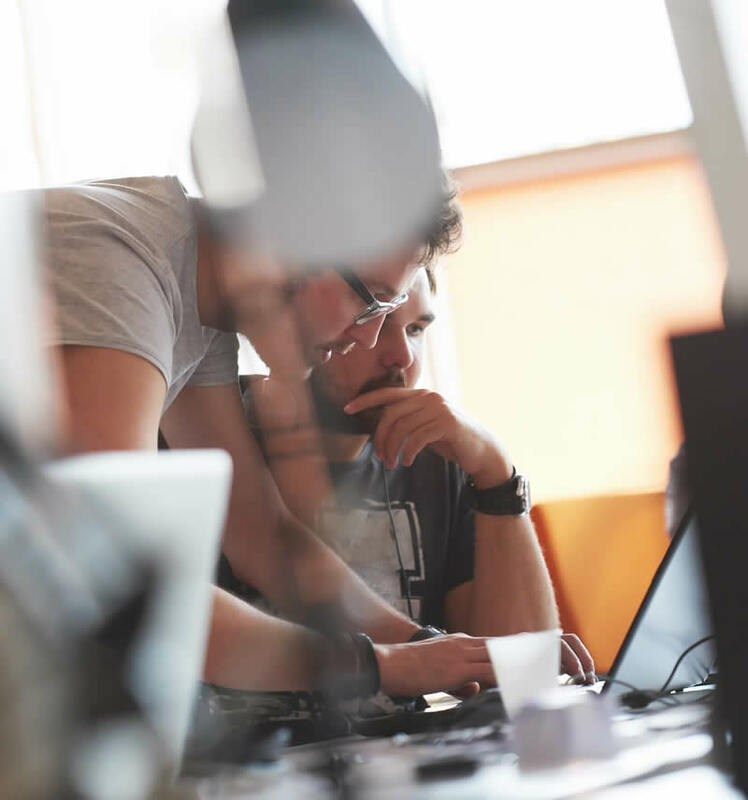 With 19 certification programs to choose from, including industry specific designations, there is a certification program designed for your business. As a Certified SOLIDWORKS Associate - Academic (CSWA - Academic), students will demonstrate their expertise with SOLIDWORKS 3D solid modeling software, design concepts, and sustainable design. A Certified SOLIDWORKS Professional is an individual who has successfully passed the advanced SOLIDWORKS skills examination. 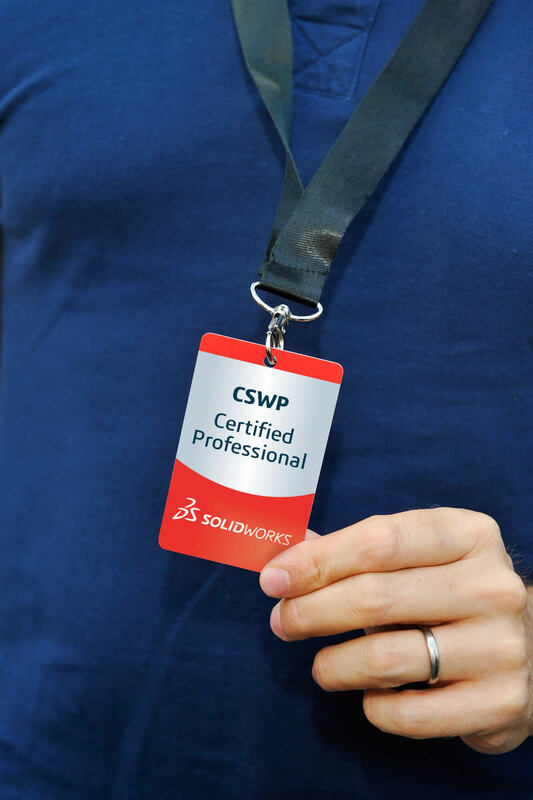 Certified SOLIDWORKS Professional - Academic (CSWP - Academic) certification is intended for a student with a minimum of 1 to 2 years of SOLIDWORKS experience and advanced knowledge of engineering practices. A Certified PDM Professional Administrator (CPPA) is an individual who has successfully passed an advanced examination in SOLIDWORKS PDM Professional administration skills and is ready to manage an implementation. The completion of the Certified SOLIDWORKS Professional Model Based Design (CSWP-MBD) exam shows that you have successfully demonstrated your ability to use SOLIDWORKS MBD. The Certified SOLIDWORKS Associate - Electrical certification shows that you have successfully demonstrated an understanding of the principles of SOLIDWORKS Electrical functionality and Electrical Engineering principles. The Certified SOLIDWORKS Associate - Simulation (CSWA-S) certification indicates a foundation in and apprentice knowledge of the principles of stress analysis and the Finite Element Method (FEM). The completion of the Certified SOLIDWORKS Professional CAM (CSWP-CAM) exam shows that you have successfully demonstrated your ability to use SOLIDWORKS CAM functionality and tools. A Certified Additive Manufacturing Associate is someone who possesses the basic knowledge of today’s 3D printing market. The completion of the 3DEXPERIENCE Platform Explorer Associate Exam exam shows that you have successfully demonstrated your basic knowledge of the 3DEXPERIENCE Platform. — Dr. Fred Cotaras, Chief Technology Director for Maritime Systems, Ultra Electronics. — Kyle Swain, Mechanical Designer, Vemco. Javelin's team of Certified Instructors have vast experience with SOLIDWORKS from providing years of technical support and consulting services to thousands of customers. You will be able to learn proven techniques and best practices used by successful Canadian designers and manufacturers. Need training to help you gain the knowledge for your chosen certification program? We can help with official SOLIDWORKS authorized courses delivered by certified SOLIDWORKS instructors. You can take training in-class or live online. MySolidWorks is a knowledge portal that provides online training for certification, including exam preparation courses to help you pass the first time. Take a certification exam for FREE as part of your annual SOLIDWORKS Subscription Service. If you need a short term SOLIDWORKS license to help you pass an application specific exam then we can help you with a 3 month or 1 year license of a SOLIDWORKS Add-in such as Simulation or CAM. Have questions about SOLIDWORKS Certification?